Honestly, honest to goodness, I really don’t have any interesting food plot up my sleeves what's with me in Batu Caves. No, no, please. Definitely not time yet for Thaipusam. In fact, I don't even have to announce when its Thaipusam. You will automatically know it. When you start seeing, one after another holiest grains putting up their diviners on social media, you can include me, Thaipusam selfing and welfing indeed are the indication that Thaipusam is up in the air abuzz. I actually ended up in this part of Batu Caves because I was bored to literally death. I basically badly needed a break. The daily grind does get to us, don't you agree? The mundane daily routine of sleeping our way for climbing the corporate ladder or we sincerely die at our job, we also have to balance many other things at one go, including, not to forget, social media is a must right? For me, I must thank my Nava star since I don't have to beat the daily jam by taking up road bullying or raging. Still, my life is utterly stressful as well. Of course I can continue with blindly forwarding rubbish news on WhatsApp groups, make sure you are careful on what you share on family WhatApp group to avoid stirring up family sentiment, nothing for me is like meeting an old friend for breaking free from mundaneness. Food and friendship for us Malaysians consecutively must dance and jive together. Am I wrong? 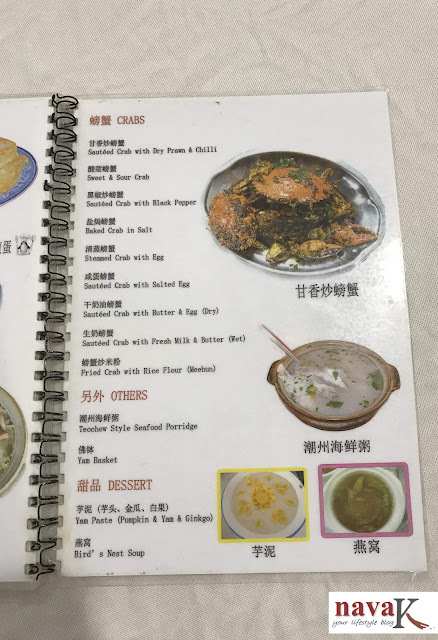 A day of my planning, plans fell in place for meeting my male friend in Restoran Heong Kee Seafood. Highly recommend by him as one of the well known eateries in Taman Selayang Jaya. 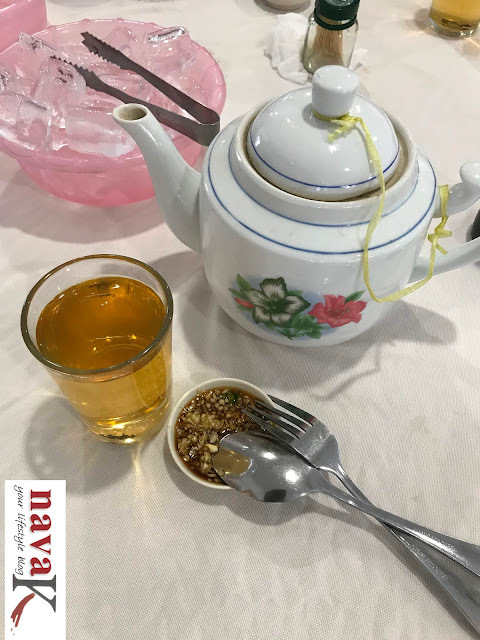 Yet to be known, no worries, I'll speak about whether it was worth my time coming this far from Shah Alam, lemme now tell you that Restoran Heong Kee facing the main road and situated at a corner lot is a no fancy frilly eatery (Siong Huat Bak Kut Teh Pelabuhan Klang). Another basic in ambiance eatery (Restoran Lucky Loke SS3 & Lucky Kee Taman Paramount) with option of dining inside or outside. 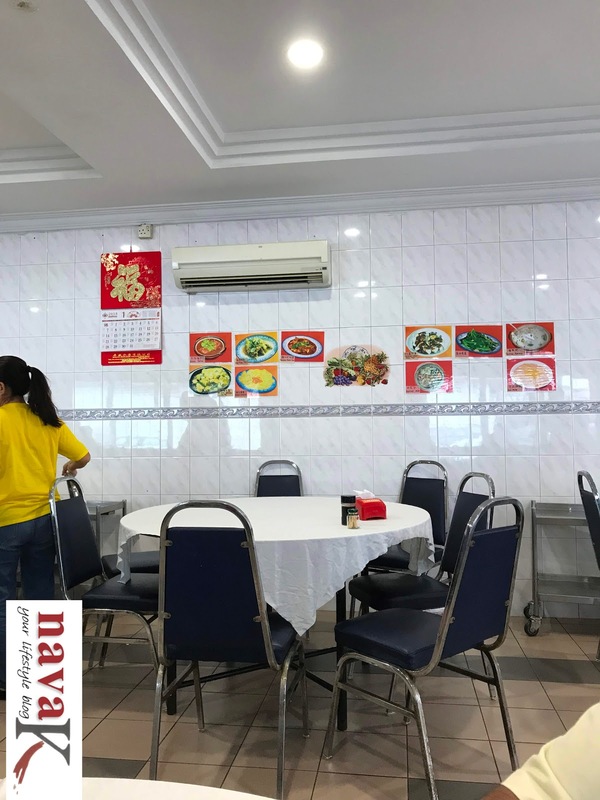 Inside air-conditioned dining area is certainly more conducive instead of getting roasted under our burn baby weather, additionally, before, you never know, we Indians, we are notoriously known in Selayang too. 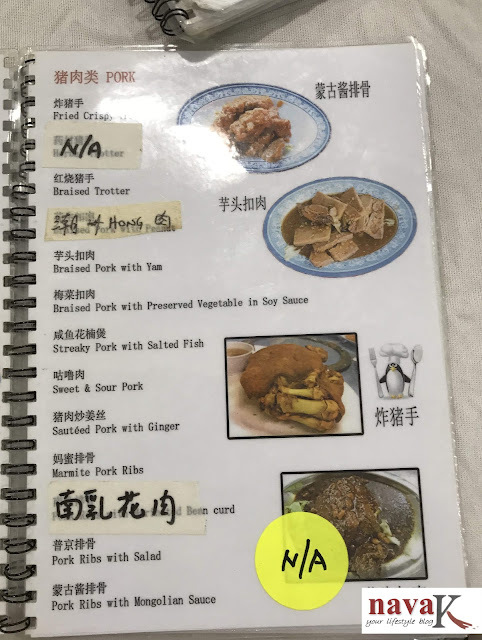 Walking into the literally packed Restoran Heong Kee and with more customers streaming in even after 2.00pm, we, by the next 5 minutes have already decided on what to order once we had quickly flipped through the menu which features quite a substantial number of dishes. Jasmine Tea popped up soonest, followed by rice and the dishes within the next 10 minutes or so. 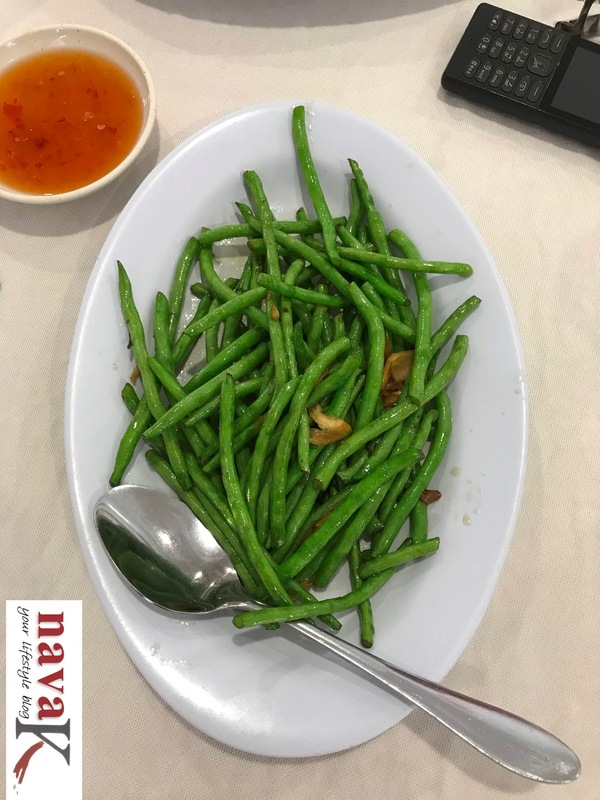 Garlic Stir Fried Beans? 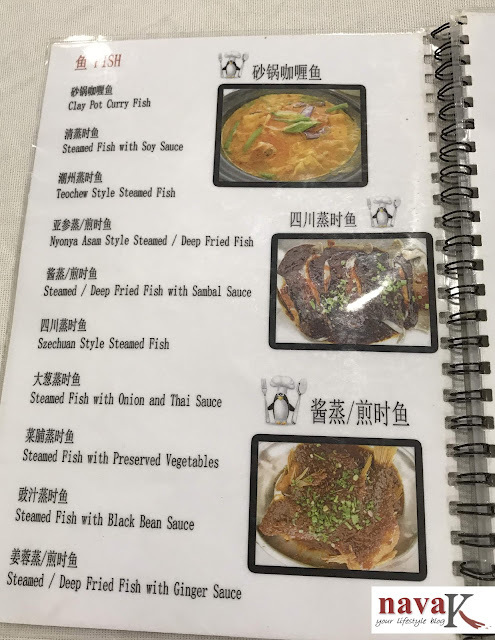 Always a food joy in Chinese restaurants, wouldn't you agree? Obviously. Simply stir fried or call it blind frying, fried in a jiffy over high heat and in big cast iron chef wok, crunchy and garlicky Garlic Stir Fried Bean was not a tremendous promising start, we shouldn't complain either. Simplicity in its simplest foam, this veg dish did make us food happy. 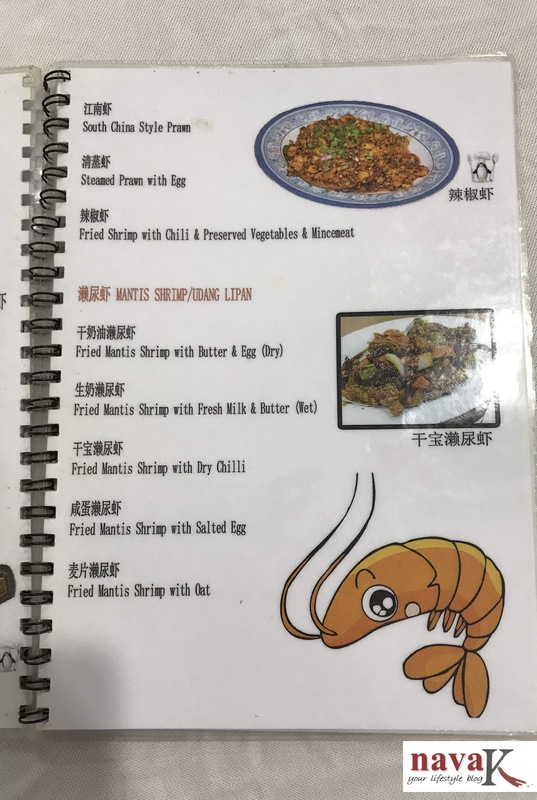 Fried Crispy Trotter on the other hand caught me by surprise. I wasn’t expecting such a big portion. Maybe my fault. I should have mentioned a smaller portion for three people or maybe I failed in noticing its picture captured in the menu. 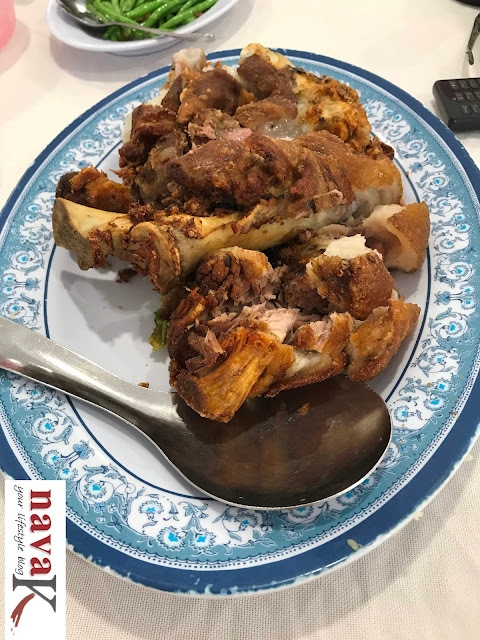 Crispy skin and gooey fats meat literally falling apart from the bones, Fried Pork Belly with tadbit of saltiness was appreciated, yet it wasn't a winner. Additionally, when compared to the Teochew Style Steamed Fish we tucked into thereafter, Fried Crispy Trotter eventually became a smaller loser. 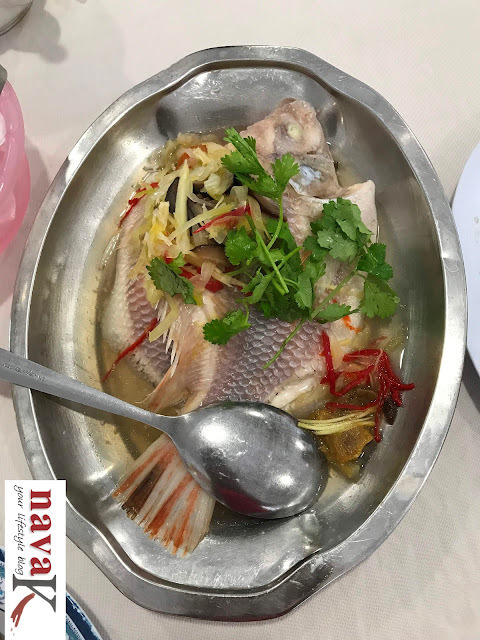 Teochew Steamed Fish, what should I potentially say? 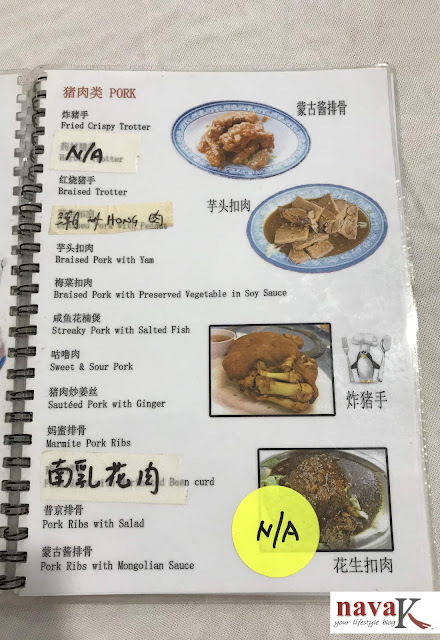 Sadly, as appealing as it looked, Teochew Steamed Fish was plain boring bland. No taste albeit I won't doubt fresh is the catch of the fish. Literally forcing ourselves by finishing up the fish, I had to save the Fried Pork Belly by packing it back home. All in all, to tell you the truth, I just can't get it. Restoran Heong Kee Seafood should have wobbled my taste buds with its food deliciousness. 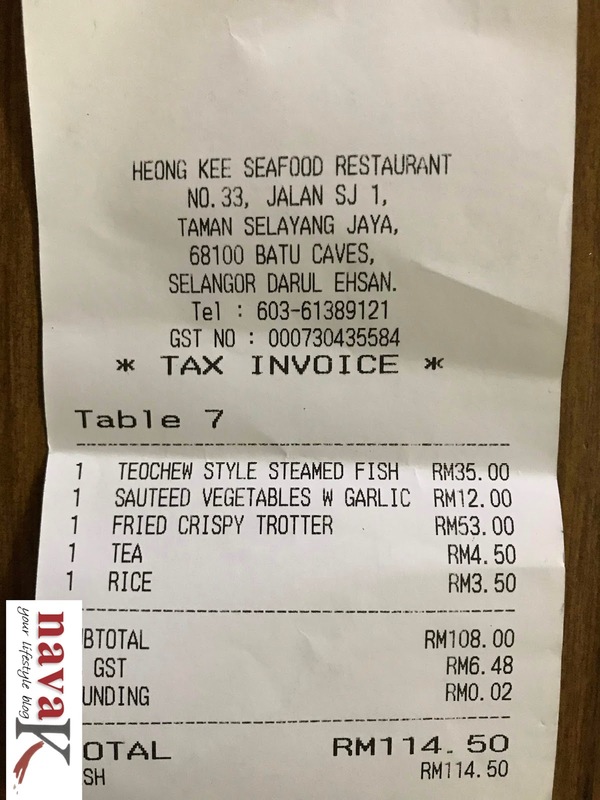 Unfortunately, not only a rather pricey meal, it didn't conquer me positively. Lucky my friend who recommended Restoran Heong Kee Seafood didn't open his mouth. Otherwise, if only Nava K would have opened hers? Sorry it wasn't up to your expectation. That crisp pork trotter did look pretty good. Some food look pretty but don't taste so good. It's an experience. So true.. Nothing like meeting and spending time with friends to escape mundane life..